Last Friday my thesis film Passer Passer premiered at the Long Day Short Film Festival in Alameda, CA! Alameda is across the Bay from San Francisco, an island that used to serve as an air force base. 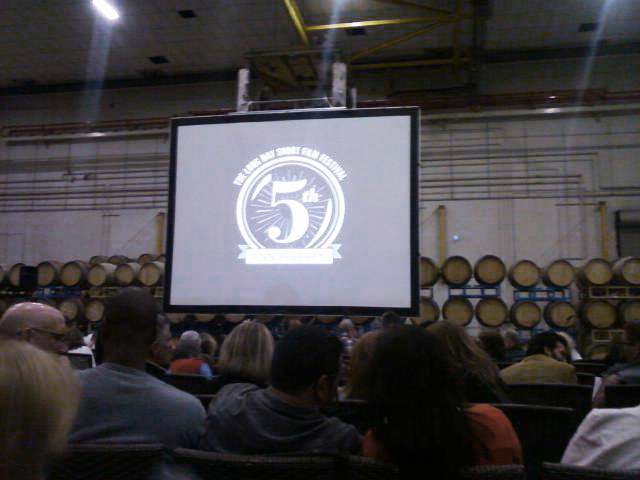 The screening was inside of a giant hangar that used to be used for painting aircraft, but is now used for storing massive amounts of wine. I was in the festival in 2011 with Moe's Musical Morning, and it was really great to be back again and see how the fest has grown. Passer Passer on Cartoon Brew!! !